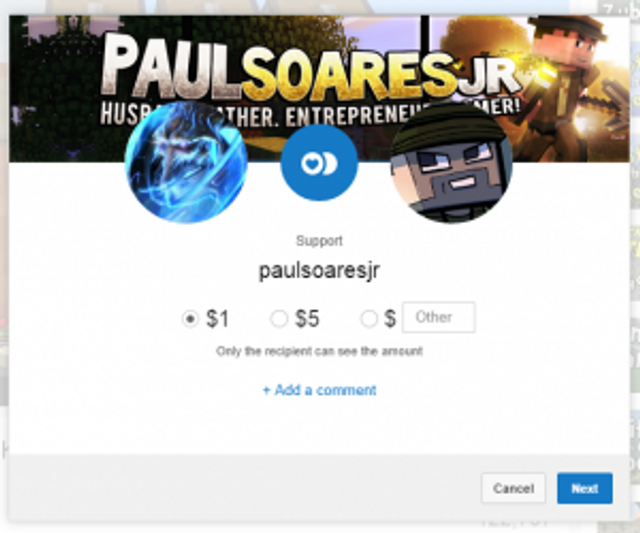 Fans can now donate directly to their favourite YouTube creators while watching their videos. YouTube is taking a 5% cut and you can use Google Wallet to pay. It’s now gone live in four countries: the US, Australia, Japan and Mexico, with more to follow in the coming months. Android Police spotted the launch, noting that it currently works in web browsers and the latest versions of YouTube’s Android app. At first glance, YouTube’s crowdfunding is fairly simple: an icon appears in the corner of videos on channels that have turned the feature on, and when hovered over, it reveals a ’Support’ banner. When that’s clicked on, people can set their donation – the phrase “tip jar” is used in some of the screenshots, but it’s unclear whether that’s YouTube’s choice or the individual creator – and pay it using Google Wallet. That’s one restriction at this early stage: there’s no option to use other forms of payment, from credit cards to PayPal. YouTube is taking a 5% cut of donations, plus set fees – $0.21 in the US, ¥22 in Japan and so on.